NXT TakeOver: WarGames II goes down this weekend, kicking off four straight nights at the STAPLES Center in Los Angeles, California for WWE. 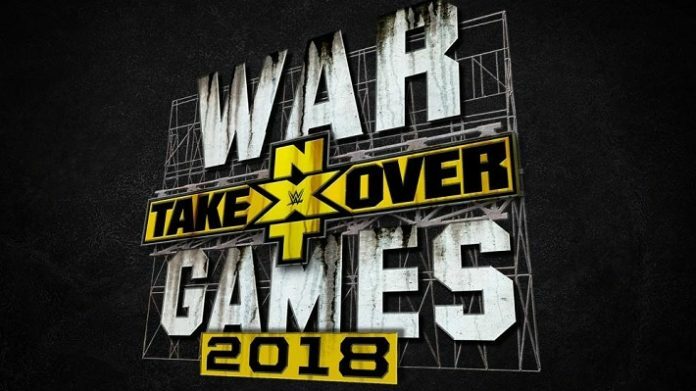 The company will be producing their second “WarGames” themed show and their twenty-third overall event under the “NXT TakeOver” banner on Saturday, live via the WWE Network. Saturday’s live WWE Network special features an excellent, albeit brief card containing only four matches. Each match is an important one, however, as included in the card are NXT World Championship and NXT Women’s Championship matches, the namesake WarGames bout and a grudge match between Aleister Black and Johnny Gargano. The main event will feature Tommaso Ciampa defending his NXT World Championship against Velveteen Dream in one-on-one action, while the NXT Women’s Championship bout will feature “The Queen of Spades” Shayna Baszler defending her title against former title-holder and the first-ever Mae Young Classic tournament winner Kairi Sane in a two-out-of-three falls match. The WarGames bout will include all four members of The Undisputed ERA — Adam Cole, Roderick Strong, Bobby Fish and Kyle O’Reilly — facing off against The War Raiders — Hanson and Rowe — as well as WWE U.K. Champion Pete Dunne and NXT North American Champion Ricochet. Finally, The Black-Gargano bout will be the culmination of a longstanding rivalry that picked up momentum when Gargano turned heel and was revealed as the man who attacked Black in the parking lot of Full Sail University following the August 8th episode of NXT TV. SEScoops.com writers Andrew Ravens, Jeff Moss and Ian Carey have prepared their predictions for each of the matches scheduled for Saturday night’s big event. Without further adieu, here are the SEScoops.com staff predictions for NXT TakeOver: WarGames II. What do the experts think is going to happen on Saturday evening? Check out the online NXT TakeOver: WarGames II betting odds. What do you think of the above NXT TakeOver: WarGames II predictions? Let us know by sounding off in the Comments section below, and make sure to join us here this Saturday for live play-by-play results coverage of the show.